LaVison BioTec, developers of advanced microscopy solutions for the life sciences, report on the research of Professor Kurt I Anderson and his groups' studies of cell migration in the context of cancer metastasis at the Beatson Institute for Cancer Research. Professor Kurt I Anderson is the Group Leader of the Tumour Cell Migration research program at the Beatson Institute, part of Cancer Research UK. 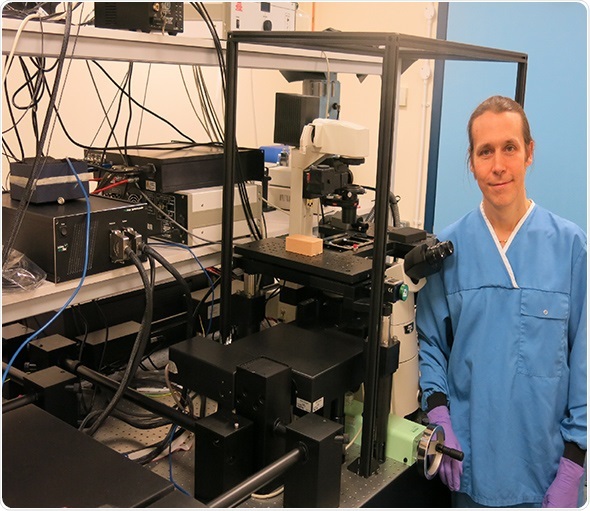 His work focuses on developing fluorescence microscopy approaches to study the cellular and molecular dynamics of metastasis in vitro and in vivo. Metastasis is linked to mortality in most types of cancer, and a matter of intense investigation around the world. Metastatic invasion is challenging to study because it occurs randomly over large scales of time and space, and sensitively depends on features of the local tumour microenvironment. Prior to using the TriM Scope, his group used various multiphoton & confocal systems as well as the frequency domain FLIM systems from Lambert Instruments. The TriM Scope has brought a number of benefits, as outlined by Professor Anderson. For more details about LaVision BioTec's TriM Scope 2-photon Microscope and its applications, please contact LaVision BioTec on +49 (0)5219151390, visit the web site: www.lavisionbiotec.com.